Writing an episode of a TV show that revolves around video games can be a tricky endeavour. It’s all too easy for showrunners to gravitate towards common tropes such as being sucked into a digital world or becoming overly obsessed with a flashy new game. Stories like these have been overused in the decades since gaming was introduced, and while they make for an enjoyable adventure, they rarely capture the relatable nature of what it truly means to connect over a game. 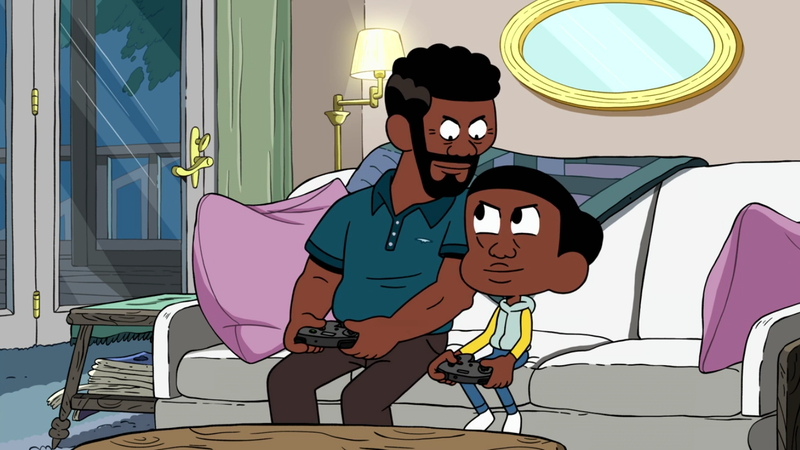 When I wrote about Craig of the Creek in March of last year, the show had just made its debut as part of Cartoon Network’s already well-established lineup. I very much enjoyed it then, and nearly a year later I’m still thrilled to catch new episodes as they air. Craig of the Creek is a show that feels fresh because it’s so grounded in playful reality. Craig and his friends go on adventures, discover new allies, and conquer their fears, but at the end of the day they’re still just a bunch of imaginative kids romping through the woods. 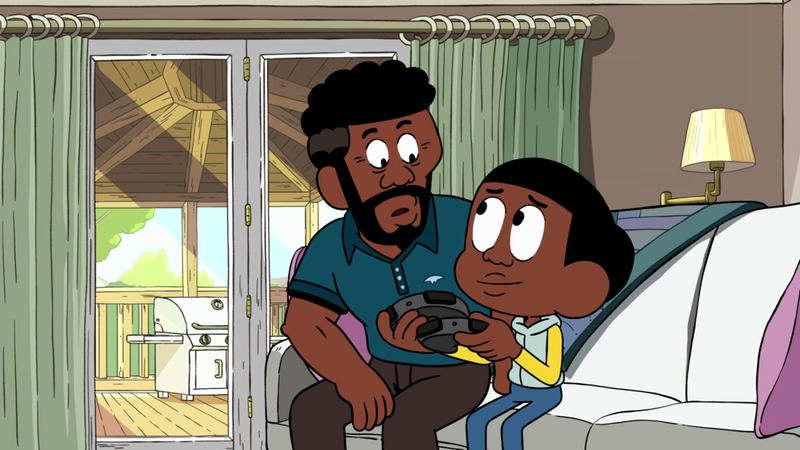 Craig of the Creek also excels in portraying a caring and realistic family dynamic, an element missing from most animated shows. Craig’s parents are responsible and loving, checking in on their three children, helping them with their issues, and trying to connect with each of them on a personal level. 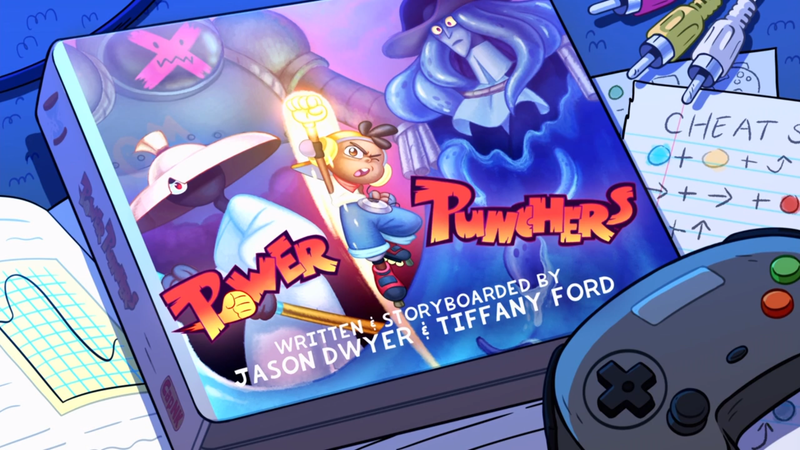 It’s this family dynamic that truly shines through in the show’s 27th episode, “Power Punchers.” Though “Power Punchers” premiered back in October, it still stands as the show’s highest rated episode, and one of the most relatable gaming stories ever to hit the small screen. And believe me, I’ve seen them all. Recently, I had the opportunity to speak with a small group of key players from the Craig of the Creek team via Skype to discuss “Power Punchers” and how the episode came to be. Joining the call were co-creators Ben Levin and Matt Burnett, storyboard artists Tiffany Ford and Jason Dwyer, and head writer Jeff Trammell. When asked about the team’s gaming habits, Trammell was quick to recount a long-running Dragon Ball FighterZ rivalry he had built up with Dwyer over the past year, and mentioned regular lunch time battles against other staffers in Super Smash Bros. Ultimate. Fighting games have long brought players together, be they friends, family, or coworker. “Power Punchers” is all about the bond that Craig and his father, Duane, share over the episode’s titular pixelated fighting game. Duane sees their once-nightly battles as a way to spend time with his son, while Craig is determined to someday defeat his dad’s seemingly-unbeatable knowledge of the Power Punchers meta. But “Power Punchers” wasn’t conceived as an episode to showcase gaming. A retro fighting title was simply the best framing device for the father-son narrative the show’s team wanted to share with their viewers. 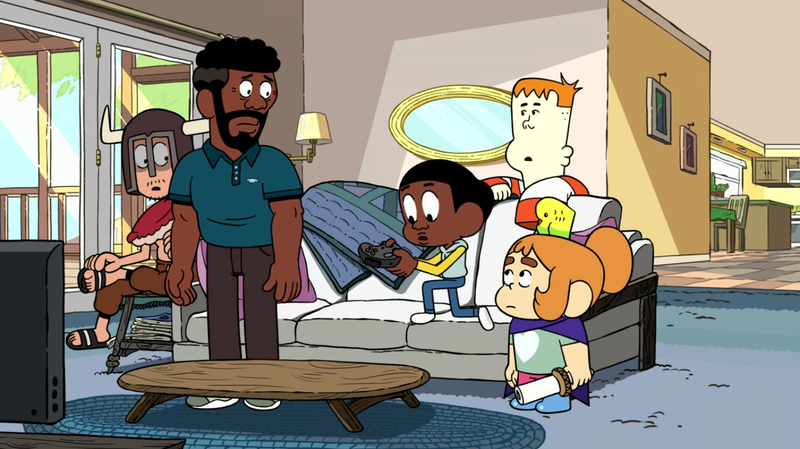 As one of the few animated offerings on TV to feature a black family at its centre, Craig of the Creek is always pushing to breakaway from any stereotypes that their audience might see portrayed elsewhere. Ford felt “Power Punchers” was an especially good opportunity to showcase the lesser-seen role of gaming in the black community. Craig of the Creek is what Burnett described as a “storyboard driven show,” meaning the writers come up with a basic outline which they then hand off to the storyboard artists to flesh out with images and dialogue. 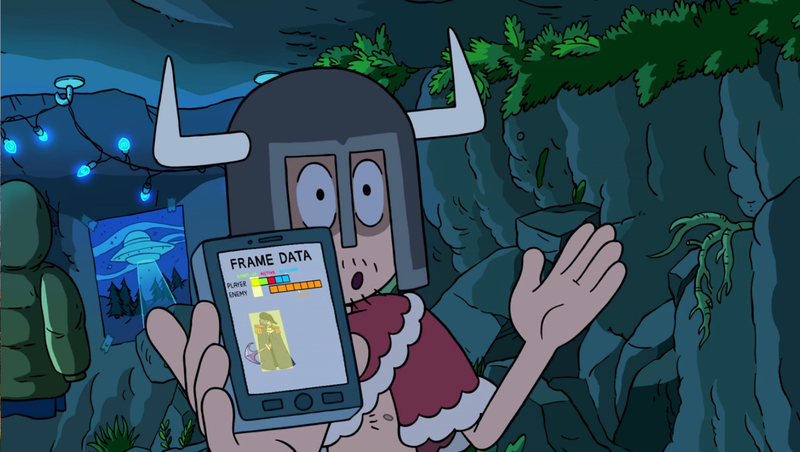 Once the idea of Craig competing against his dad in a fighting game was set in stone, everyone on the show’s staff began working to tweak the story with their own gaming insights and personal touches. “It’s a very collaborative process,” noted Ford. As “Power Punchers” nears its climax, Duane, voiced by the wonderfully over-the-top Terry Crews, becomes wise to Craig’s treacherous training sessions and challenges him once more to a fight. On the verge of losing his last bit of health Craig manages to finally best his old man with a last second special attack. And while it’s a sweet victory for Craig, his father is disheartened, believing the special time he shares with his “punching pal” will fade away, as it did with Craig’s older brother. It’s a surprisingly touching moment. One that really captures the mixture of pride and shock that comes with finally losing to your child at your favourite shared activity. Craig’s reassuring words, and his suggestion that they keep playing, but with new characters, really shows that he cares more about the relationship he has built with his father than his quest for video game supremacy. 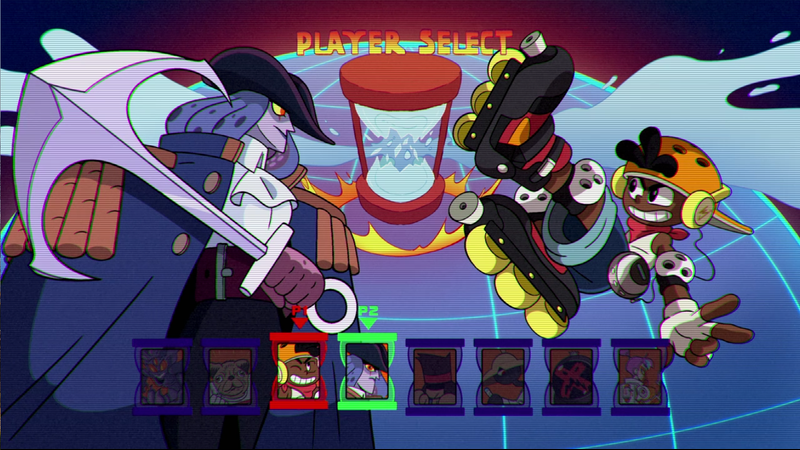 “Power Punchers” packs a lot of gaming goodness and positive family moments into a mere 11 minutes. Anyone who has competed with a close friend or family member, in gaming or any other activity, likely knows how it feels to be on either side of Craig’s situation with his dad. In the end it’s about the time spent and the shared enjoyment, something that modern parents are more likely to experience via video games.